Demystify headsets by reading this guide. 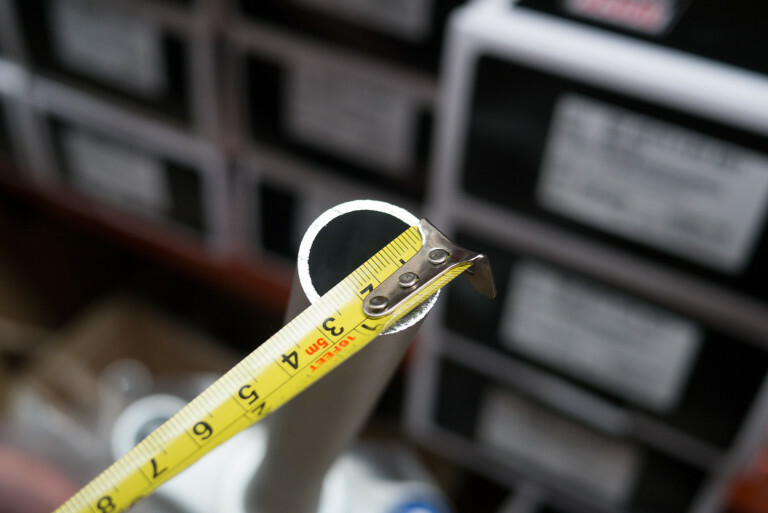 What things you need to measure before ordering. How to tell an integrated headset from a regular headset and everything else you need to know. There’s no getting away from it, choosing a headset can be confusing. Loads of different standards. Loads of different names for the same thing. Thankfully the headset companies have talked to each other and come up with a system for identifying headsets: S.H.I.S. This stands for Standard headset Information System. Using this system is unavoidably a bit complicated but it does result in you getting the correct headset for your bike. Press Fit headsets have headset bearing cups sitting between the frame and the bearing. With integrated headsets the bearings sit directly in the frame with nothing between. An Integrated headset is just a pair of bearings and a star fangled nut and top cap. No cups. The photo above shows an Integrated headset lower. S.H.I.S. calls Integrated headsets ‘IS’. If you can see a headset cup outside of your frame, even just a flange or lip (as in the photo above) then your headset is Press Fit. If you can’t see a headset ie. 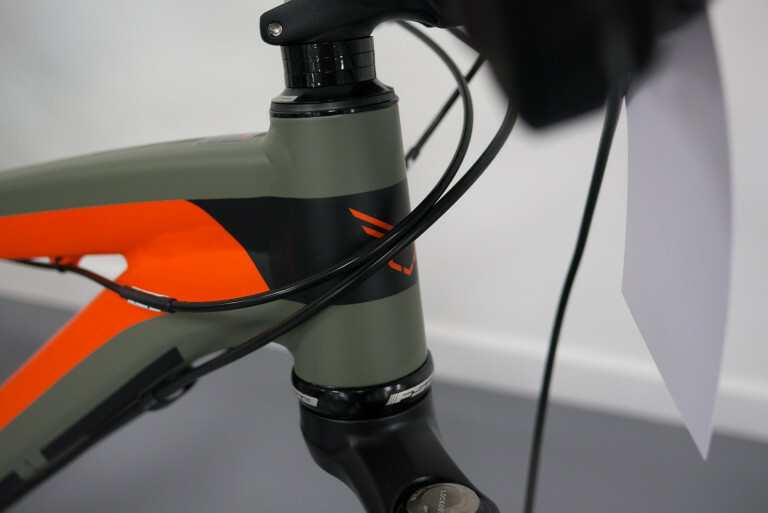 it’s entirely sitting inside the frame head tube, then your headset is Integrated. Zero Stack, Conventional, External Cup, Low Profile, Integrated With Cups, Internal, Semi-Integrated, Non-Integrated – ALL of these are Press Fit headsets. The above pic is a headset with upper and lower External Cups. Another name for External Cup headset type is ‘Conventional’. S.H.I.S. just splits Press Fit headsets into two types: External Cup (‘EC’) and Zero Stack (‘ZS’). External Cup is where the bearings sits outside of the frame. Zero Stack is where the bearing sits inside the frame. Headsets can be one type for the upper and another type for the lower(!) It is possible, for example, to have a ZS upper and an EC lower (as in the photo below). To do this you will have to remove your existing headset from your frame. 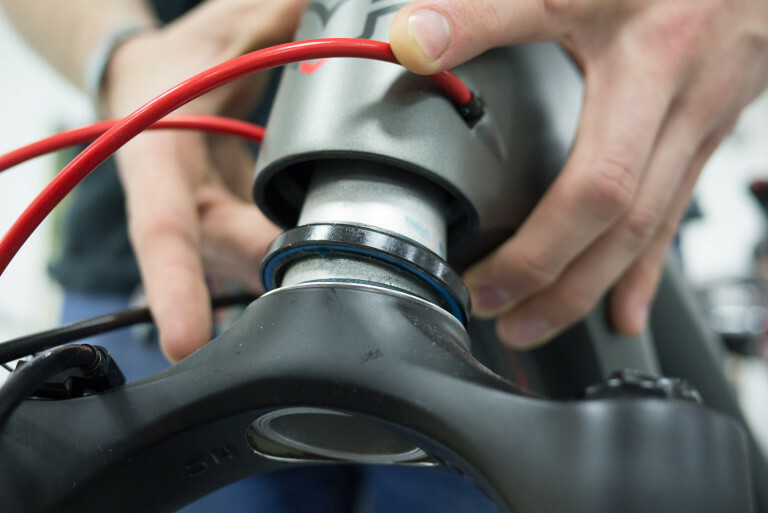 There are specific tools available for this task but you can use a wide flat blade screwdriver and a hammer if you’re very careful – work around the head tube a bit at a time. 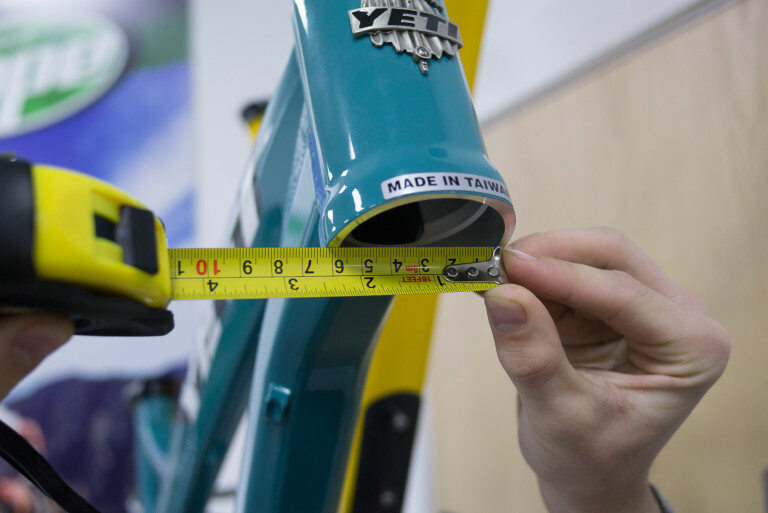 You will need to measure (in millimetres) the inside diameter (ID) of the top of the head tube (above pic) and the bottom of the head tube (pic below). 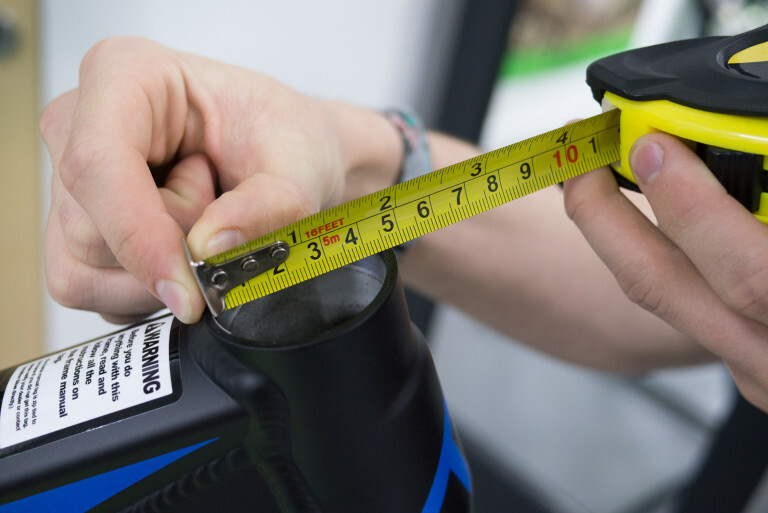 Measurements are rounded to the nearest millimetre. Example: a tapered frame with a 44mm upper ID and a 56mm lower ID. You need to measure it in two places. 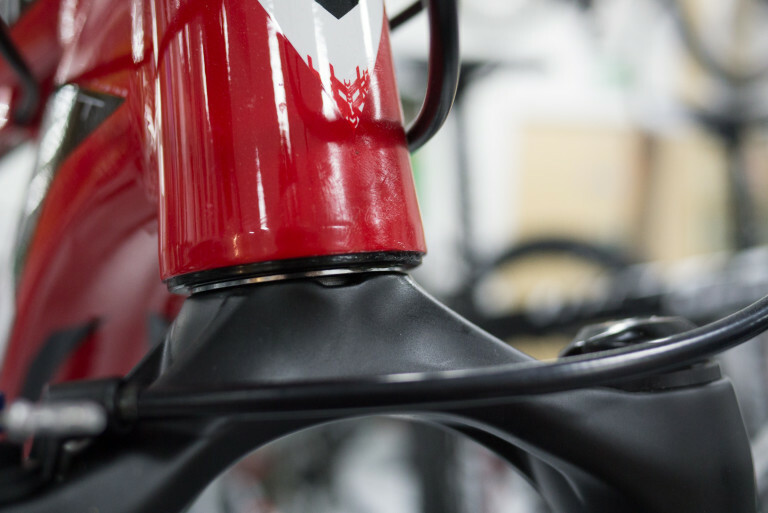 The outside diameter (OD) of the top section (where the stem clamps around, as in the above pic) and the outside diameter of the very bottom bit where the steerer goes into the fork crown (where the headset crown race sits, as in the pic below). 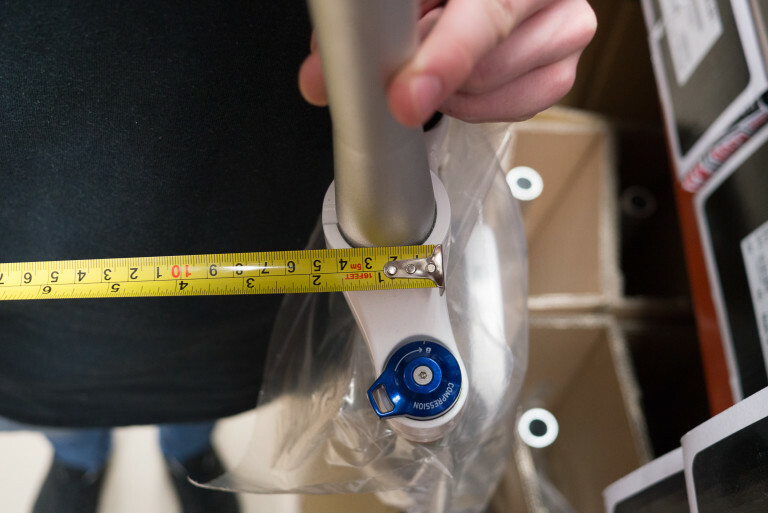 On integrated forks you can measure the angle of the built-in crown race. It will almost certainly be 45 degrees but obsolete 36 degree designs do appear on old frames. NB: 45 degree headsets may have “36” written in their descriptions (ie. 45 x 45/36) but just ignore that. If it says “45” anywhere in the description it’s a 45 degree headset. Example: an 1 1/8th steerer fork with a 28.6mm top OD and a 40mm bottom OD. You should have six notes in total, three for each ‘half’ of the headset. Your S.H.I.S. numbers are ZS44/28.6 for the upper headset half and EC49/40 for the lower headset half. Use these numbers when researching and browsing for a new headset and you’ll be certain to end up with the correct headset for your bike. Below is an informative picture from Hope Technology that covers pretty much all the relevant dimensions (click pic for the full size version). Leave a comment in the section below and we’ll do our best to help you out. 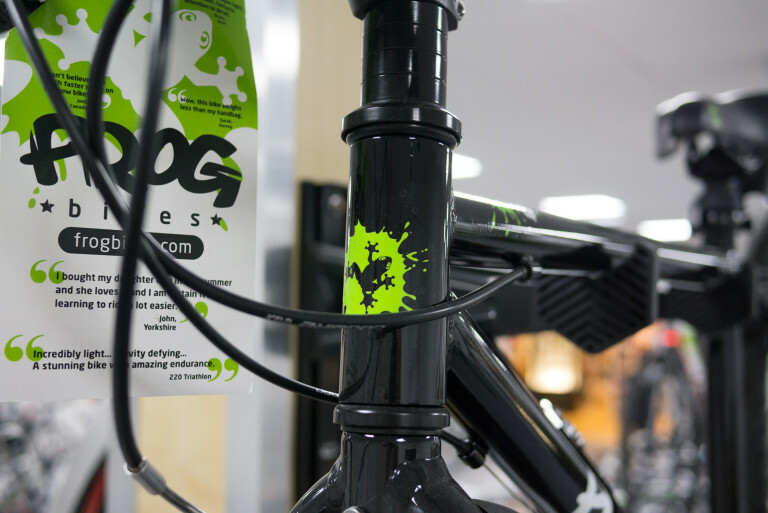 Tagged beginner, buyers guide, cane creek, fsa, headsets, hope, mechanic, workshop. Bookmark the permalink. paragraph is in fact fruitful for me, keep up posting these articles.